Cameron Guthrie racked up 25 touches in his first game for the season. Set to return this week after recovering from a knee injury. 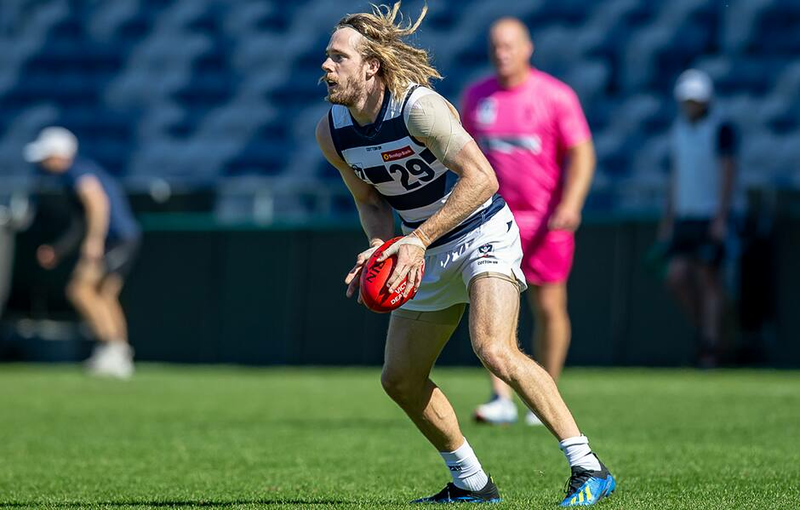 When fit and firing, Tuohy is a key player for the Cats with his elite disposal and run out of the backline. Named an emergency against the Giants, Guthrie returned to the field from a calf injury via the VFL and was dominant playing in the midfield. He collected 25 disposals at 80% efficiency to go with five clearances and four inside 50s. A likely Easter Monday inclusion. Parsons is pushing hard for selection after two strong VFL performances to start the season. Had 23 disposals (83% efficiency), eight marks, eight inside 50s and four score involvements in a polished performance. Worked hard in the Cats engine room recording a team-high nine clearances. Could come into the selection mix to booster Geelong's midfield after they were beaten in the contest against GWS. Presented strongly in attack, finishing with 18 disposals and 10 marks. Was a little wasteful on goal kicking 1.2, but did enough to keep his name in the forefront of the selectors' minds. Backed up his best-on-ground performance in round one with another strong performance on Sunday. His ability to read the play ahead and take intercept marks is a major strength. Has backed up a strong pre-season with two consistent VFL performances to the start year. Was used at both ends of the ground against the Northern Blues and is pressing his claim for an AFL debut.